Paragon Walk by (AK+) Archipedia, whose founder is a keynote speaker at the Architecture Symposium. Photography: Patrick Teow. 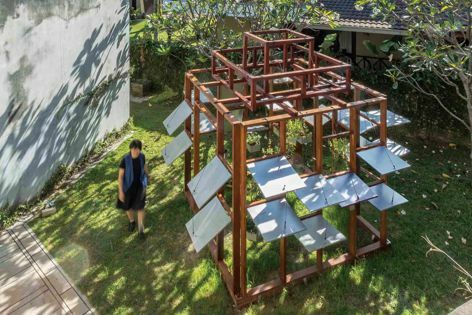 Shadow Garden Pavilion by keynote speaker Eleena Jamil Architect. Photography: Lawrence Choo. 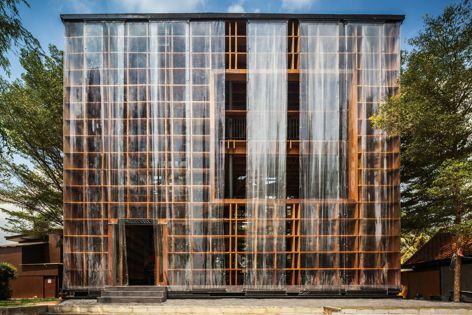 The Wine Ayutthaya by Bangkok Project Studio, whose founder is also presenting a keynote. Photography: Spaceshift Studio. Offering a feast of exhibitions, symposia, tours and workshops, the Asia Pacific Architecture Forum will return to Brisbane from 13 to 26 March, 2019. The annual forum brings together some of the Asia Pacific’s foremost architects, designers and thinkers and provides insight into Australia’s role in the region. Among the speakers is Eleena Jamil, founder of the eponymous Malaysian practice, Eleena Jamil Architect. Drawing on her practice’s widely published, innovative work, her talk will examine an approach to architecture that combines natural local resources, cultural patterns and modern building techniques. “The idea that architecture can open up possibilities of use means that it is a powerful tool with which to contribute and to learn about the world,” she said. Boonserm Premthada, founder of Bangkok Project Studio (Thailand), will also discuss the benefits of using locally produced and handmade materials that are cheap and strong. “In my work I am commonly faced with economic constraints such as low budget, and we need to turn local materials into a solution that overcomes the restrictions,” he said. Coming at things from a slightly different perspective, the founder of Singapore practice (AK+) Archipedia, Alan Kueh, will deliver a keynote on how design norms “can and should be re-examined and re-purposed.” Having studied in Australia, and worked across Australia, Singapore and Malaysia, Kueh is uniquely placed to discuss Australia’s position in the region. Other keynote speakers include Yarinda Bunnag, co-founder of Imaginary Objects (Thailand); Elva Tang, founding partner of Henning Larsen (Hong Kong); Fieldoffice Architects founder Sheng-Yuan Huang (Taiwan); TOA Architects director Nicholas Dalton and BVN’s outgoing CEO James Grose (Australia). In addition to the headline symposium, the two-week-long forum will feature a range of events catering to different interests. There will be another addition of the workshop Speed Date an Architect at the Museum of Brisbane, which will offer potential clients a series of twenty-minute consultations with Brisbane-based architects. There will be an exhibition of the finalists of the Tapestry Design Prize for Architects 2018, a tour of Barry Walduck’s modernist Eisenmenger House followed by an architecture film night, and a photography exhibition showcasing the work of Frank and Eunice Corley, who roamed the suburbs of South-East Queensland photographing houses in the 1960s and ‘70s. There will also be a number of other speaker series examining the architecture of Brisbane and the wider region, including the University of Queensland’s International Architecture Lecture Series. 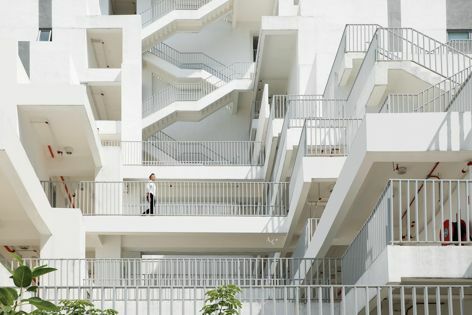 The Asia Pacific Architecture Forum 2019 is an initiative of the State Library of Queensland and Architecture Media.